Amritsar: Punjab Chief Minister himself held a press conference yesterday to announce arrest of one Bikramjit Singh of Dhariwal village. 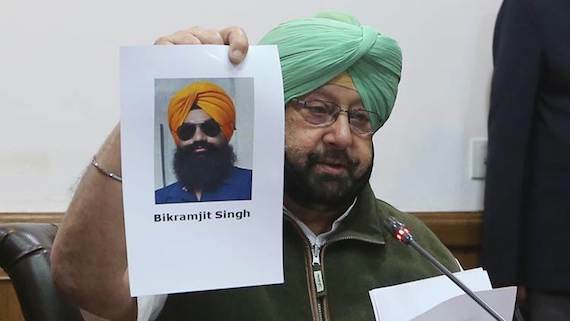 The CM, who was accompanied by Punjab police chief, claimed that Bikramjit Singh along with another suspect named Avtar Singh carried out a grenade attack at Nirankari Bhawan in Adliwal village near Rajasansi in Amritsar. The family members of Bikramjit Singh and the residents of his native village not only disbelief the police claims but also counter the police version. According a news news reported by the Indian Express (IE) around 200 villagers had gathered at Bikramjit Singh’s residence on Wednesday (Nov. 21) evening. Bikramjit Singh’s uncle Surjit Singh reportedly said “Bikramjit Singh was picked up from house and was taken to interrogation centre at Mall Mandi, Amritsar. Since then, we were in touch with the police requesting his release. A police officer even assured us that he would be released today afternoon. But, in the evening we saw news on TV and learnt that Bikramjit Singh was arrested for the grenade attack. I am sure that he is being falsely implicated in this case”. The Indian Express notes that two labourers who work in the fields owned by Bikramjit Singh and his family in the village too corroborated Surjit Singh’s claims. “Both told Indian Express that through Sunday, both of them were working with Bikramjit Singh in his fields” a report in today’s Indian Express newspaper (Chandigarh Edition) reads. The report further quotes one Subegh Singh saying “He was ploughing the fields. I was working in the adjoining piece of land owned by Bikramjit’s uncle. I had reached there at around 7 am, Sunday and I was present there till 6 pm. I am a witness that Bikramjit was working in the fields throughout the day and did not go anywhere”. According to the Indian Express (IE), another labourer from the same village, Nanak Singh too corroborated Subegh Singh’s version. 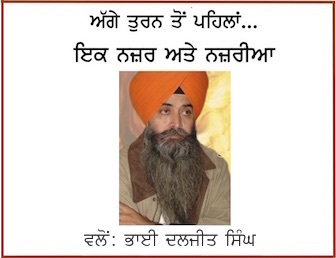 “I am also a witness that Bikramjit was working in his fields the entire day on Sunday” IE quotes Nanak Singh. The newspaper has quoted another resident of Dhariwal village saying: “I had gone to Barnala village Sunday morning. On way back to Dhariwal, I cam to know about the blast in Rajasansi. I dod not go that side and rather came back to Dhariwal. When I reached our village, Bikramjit was working in this fields”. 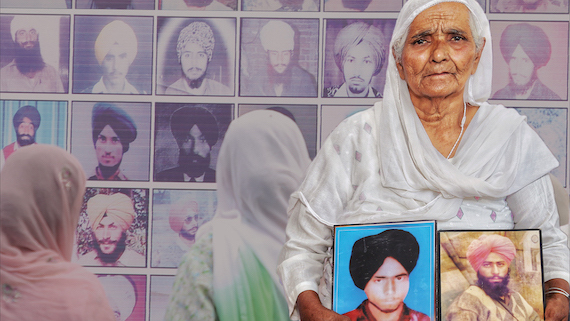 Bikramjit Singh’ mother Sukhwinder Kaur said that his son was falsely implicated. Mehkma Punjabi has uploaded few video clips of talks with the family members and the villages in which the could be seen as countering the police version about Bikramjit Singh.